James Thorpe was born in Jarrow on 16th September, 1913. He played local football as a goalkeeper before joining Sunderland in the First Division of the Football League in 1930. 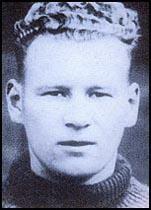 By the 1931-32 season Thorpe was a regular in the first-team. 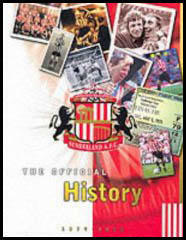 In the 1934-35 season Sunderland obtained 54 points and finished 2nd to Arsenal in the First Division. The team had a good defensive record and only let in 51 goals that season. Thorpe and Sunderland did even better the following season and soon built up a good lead over Derby County and Huddersfield Town. On 1st February 1936, Sunderland played Chelsea at Roker Park. According to newspaper reports it was a particularly ill-tempered game and Chelsea's Billy Mitchell, the Northern Ireland international wing-half, was sent off. The visiting forwards appeared to be targeting Thorpe and he took a terrible battering during the match. Sunderland took a 3-1 lead but Chelsea fought back and Joe Bambrick, scored with a shot outside the area. A few minutes later, with Bambrick rushing in at full speed, Thorpe misjudged a back-pass and allowed it to run over his arm. Bambrick continued his run and had an easy tap in to make it 3-3. One newspaper reported that "atrocious goalkeeping cost Sunderland a point". 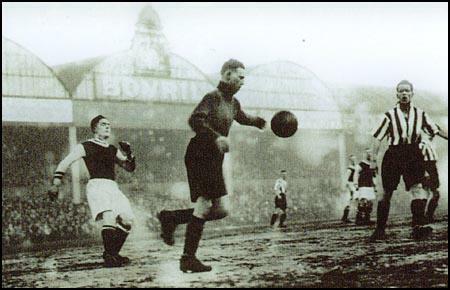 Jimmy Thorpe playing in goal against Aston Villa. The Sunderland Football Echo argued that: "Thorpe has shown some excellent goalkeeping this season, but he seldom satisfies me when the ball is crossed. On Saturday his failures had an entirely different origin, and I can come to no other conclusion than that the third goal to Chelsea was due to 'wind up' when he saw Bambrick running up." 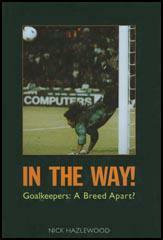 As the author Nick Hazlewood has pointed out in his book about goalkeepers, In the Way! Goalkeepers: A Breed Apart? : "Thorpe was scared said his critics; he'd turned chicken at the moment of truth." As a result of the battering he had received, Thorpe was admitted to the local Monkwearmouth and Southwick Hospital suffering from broken ribs and a badly bruised head. Thorpe had also suffered a recurrence of a diabetic condition that he had been treated for two years earlier. James Thorpe died of diabetes mellitus and heart failure on 9th February, 1936. Thorpe, who was only 22 years old, left a wife and young son. The following day, the Sunderland Football Echo journalist apologized for what he had written a few days earlier: "I know many who would give anything now to feel that they had not uttered the harsh words they spoke in the heat of the moment regarding Jimmy Thorpe's failure to prevent the two Chelsea goals in the second half last week. They did not know that the man whose failures were cursed was actually a hero to carry on at all. Neither did I know, and I confess now that I myself would give anything to have been in the position to have known and never to have given pen to what I wrote. I do not think he was able to read them and if this is so I am glad that his last days were not saddened by anything I had written because I know he was sensitive about his job." Sunderland won the First Division league title that season and Thorpe's championship medal was presented to his widow. As a result of Thorpe's death, the Football Association decided to change the rules in order to give goalkeepers more protection from forwards. Players were no longer allowed to raise their foot to a goalkeeper when he had control of the ball in his arms. Thorpe has shown some excellent goalkeeping this season, but he seldom satisfies me when the ball is crossed. On Saturday his failures had an entirely different origin, and I can come to no other conclusion than that the third goal to Chelsea was due to 'wind up' when he saw Bambrick running up. In February 1936 Chelsea visited Sunderland and treated them to a brutal afternoon's entertainment in front of 20,000 spectators. It was also an afternoon that witnessed one of the quickest bits of backtracking since Napoleon hit snow in Russia. Thorpe was scared said his critics; he'd turned chicken at the moment of truth. Little did they know that within 48 hours he would be dead. Knocked about on the pitch on the Saturday, Thorpe had suffered a recurrence of a diabetic condition that he had been treated for two years earlier, and which had lain dormant in his body ever since. He died in Monkwearmouth and Southwich Hospital at 2 p.m. on Wednesday afternoon. According to the newspapers there was not the slightest doubt that his death was due to blows received during the match. I know many who would give anything now to feel that they had not uttered the harsh words they spoke in the heat of the moment regarding Jimmy Thorpe's failure to prevent the two Chelsea goals in the second half last week. They did not know that the man whose failures were cursed was actually a hero to carry on at all. Neither did I know, and I confess now that I myself would give anything to have been in the position to have known and never to have given pen to what I wrote. I do not think he was able to read them and if this is so I am glad that his last days were not saddened by anything I had written because I know he was sensitive about his job... Thorpe will not soon be forgotten. Following our 3 - 3 draw with Chelsea on 1st February, one of the dailies reported that "Atrocious goalkeeping cost Sunderland a point". The goalkeeping referred to was that of James Thorpe; four days later, he died, baring sustained injuries to both his ribs and his face, the latter resulting in a very swollen eye. In a rough game that saw Chelsea's right half Mitchell being given his marching orders, Thorpe had sustained serious injuries that brought his life to an untimely end. At the subsequent inquest it was revealed that Jimmy suffered from diabetes and took insulin regularly He had fallen into a diabetic coma and the official cause of death was given as both diabetes mellitus and heart failure.